Core training is one of the important daily exercises that you need to learn to do in order to stay fit. Just remember to that stretching is important! It is probably one of the first thing noticeable in men when such part of the body is well developed. I am making a reference to the torso specifically the abdominal area. This part of the body can be sculpt by means of what we call core training. Most people would think that core training involves the shaping of the abs. They are partly right because core training does not only include the abs but also the back and hips muscles.  Our Personal Trainers would pertain to the entire torso as core training. Core training is important because of four things namely, power, posture, agility, and stability. A strong core will enable one to undertake weight bearing movements and prevent injury, builds back strength, prevent low back pain. It also promotes good posture which consequently alleviates back pains. It also promotes faster reaction time, improved coordination and flexibility. Balancing will not be a problem with one who has strong core thus, help avoiding accidents. If you may have noticed, athletes in contact sports make sure that they develop this part of their body that is because it contributes in keeping them in top of their game. In order to attain them, experts advise that activities like kickboxing, indoor cycling and pilates will help you achieve it. Moreover, the basic core training and can be done almost everywhere is crunches. Take note that in doing crunches, it better to do it in a stability ball than on the floor and with an empty stomach.